On 8/24/2018 Katherine and Brian did an overnight trip to Seattle to visit friends and celebrate Katherine's birthday. The friends were Fachon Perry and Antonio McFarlane. The picture below was taken after Katherine and Brian first had breakfast at "The Mecca Cafe" and then visited Pike Place Market and we were walking back to our hotel "Edgewater" in Seattle. This is the view out our hotel room at "Edgewater Hotel" in Seattle. The cruise ships arrive each morning at this location, and then depart around 5pm. They come and go quietly, it doesn't disturb the peace around the hotel. 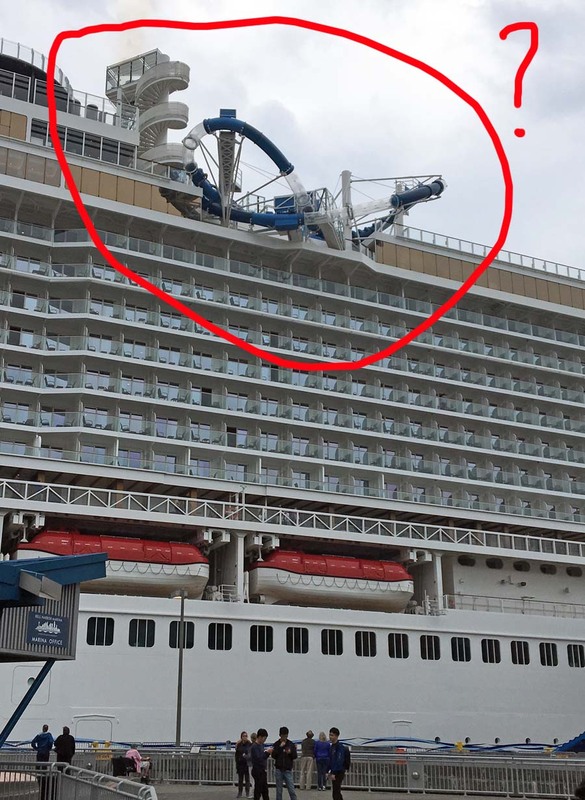 The cruise ship below was called "Norwegian Bliss" that is BRAND NEW (entered service a month or two ago). 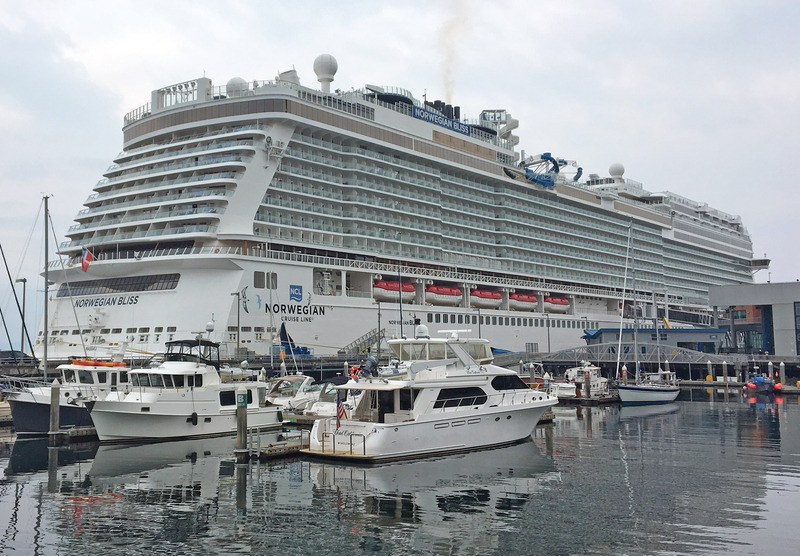 Most of the cruises that leave from this spot are going to Alaska. 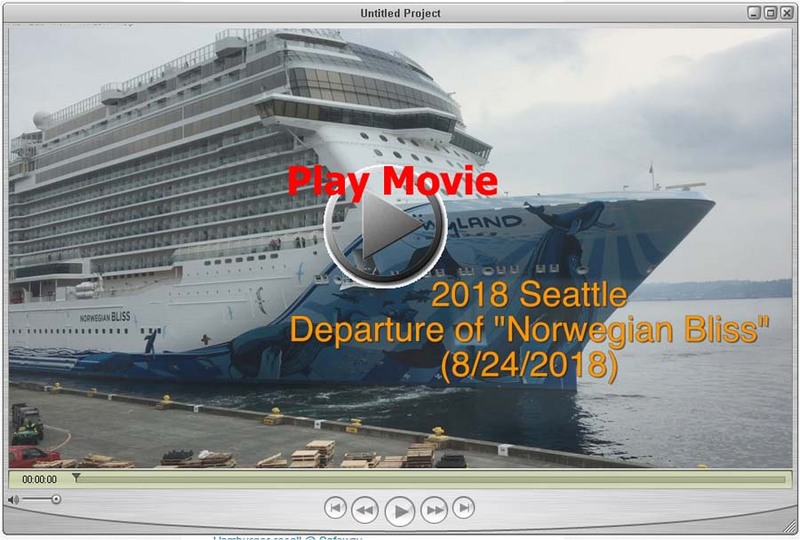 Below is a movie of the "Norwegian Bliss" cruise ship outside our window departing. Click here for the very highest quality original. 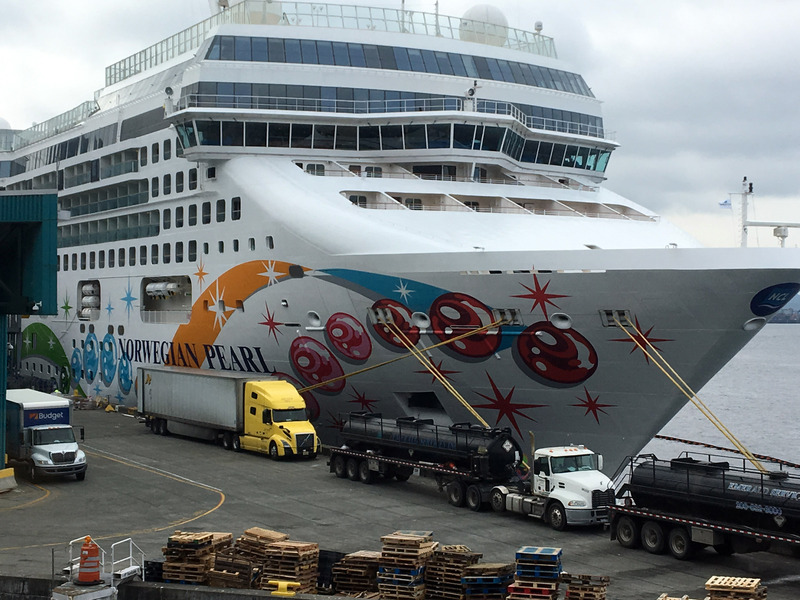 A picture of the back rear side of the massive cruise ship called "Norwegian Bliss". It carries almost 5,000 passengers and crew at one time and cruises at 22 kts (25 miles per hour). It has 20 decks tall. 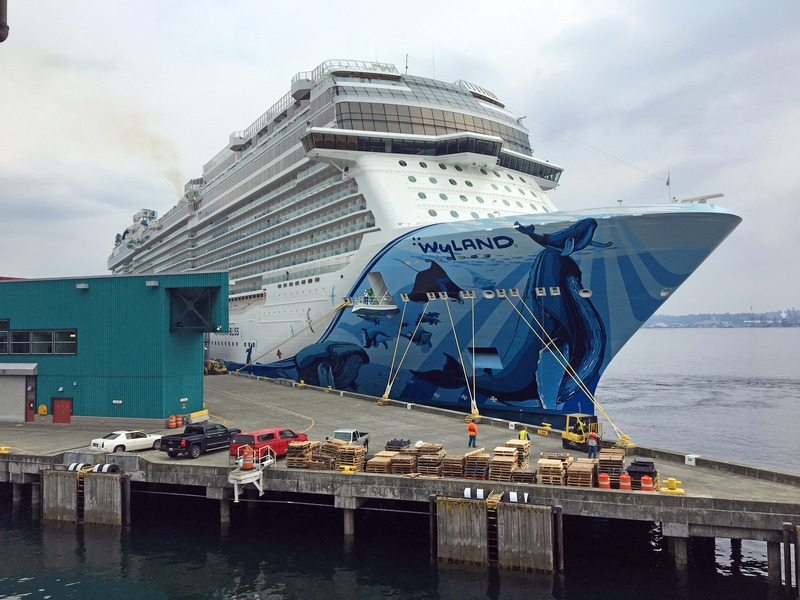 On the cruise ship called "Norwegian Bliss", there is a Go-Kart track at the top, and also a water slide called the "Aqua Racer Waterslide". the picture below you can see part of the Aqua Racer waterslide. 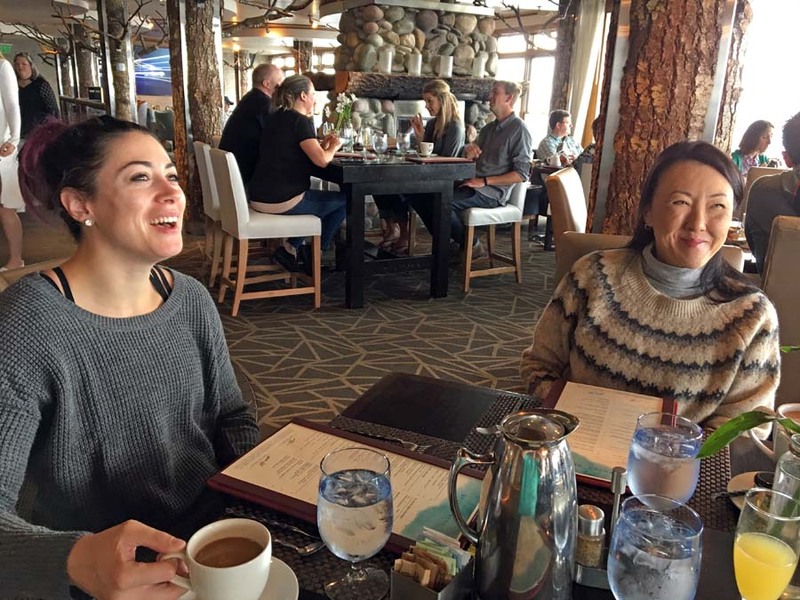 Before we depart, on Sunday morning Catie Hoffmann came and had brunch with Katherine and I in the Edgewater hotel restaurant. A panorama of our room as we depart. You can see a cruise ship out the balcony window. 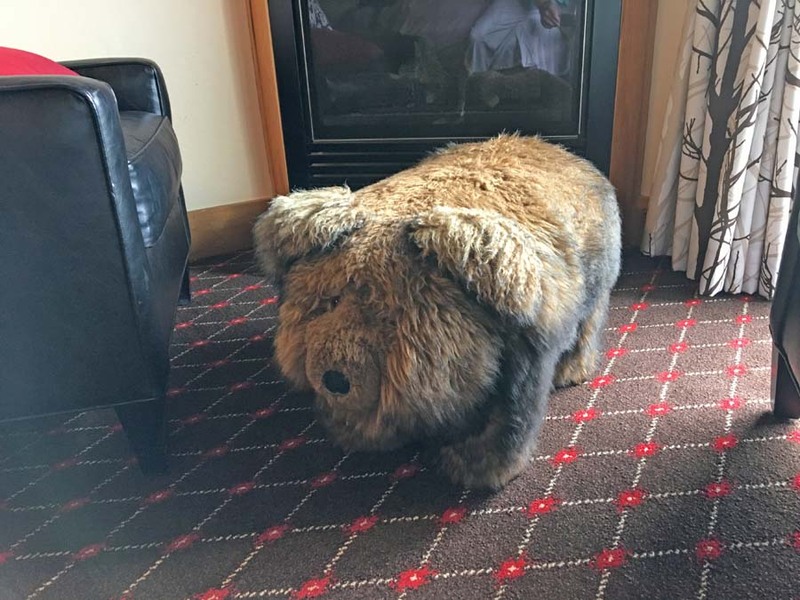 This ottoman footstool looks like a bear. They told us it was called "Furry Friends Footstool" or something but I cannot find it online. They were available in the gift shop of the Edgewater hotel. 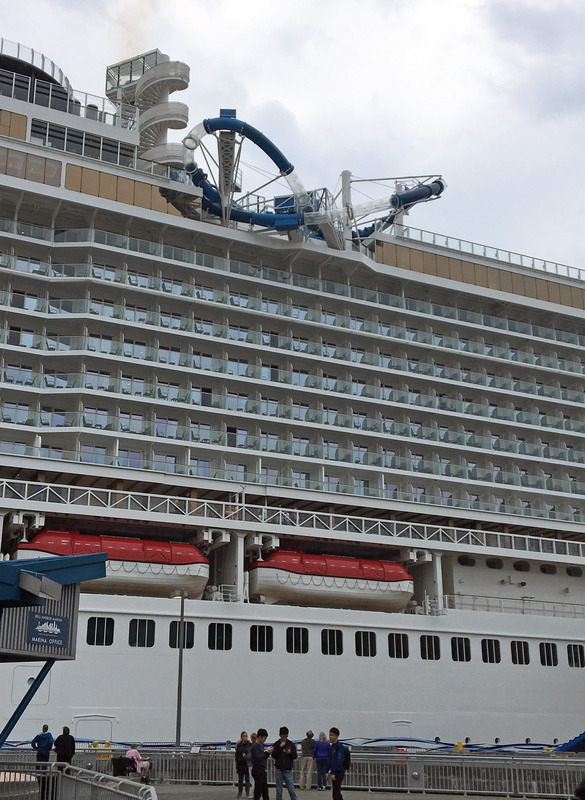 The day we left, the "Norwegian Pearl" cruise ship was docked outside our room.